It is natural for people to try and attract luck, as well as money into their lives. For usually a small entry fee, you are given the chance to win huge lottery prizes along with the opportunity to do things you have always dreamed of. This could be anything from travelling all over the world, starting your own business, and the overall financial freedom that money provides - giving you more choice and direction in your life. TheLotter is the biggest online lottery ticket agent providing services since the launch in 2002. Out of millions of customers from around the globe who have purchased lottery tickets online through their website, over 4 million became lottery winners and received more than $90 million in prizes. 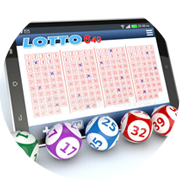 Another popular agent LottoKings with clients from more than 140 countries who have been playing with them for over 7 years provides even more options for paying for the lottery tickets. With offices all around the world, both agents' employees buy lottery tickets from the shops for their online clients. Their biggest winners have won lottery jackpots and million-dollar prizes, including Aura D from Panama, the biggest online lottery prize winner. 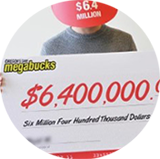 Another prominent online lottery winner, was a player from Iraq, who hit the $6.4 million Oregon Megabucks jackpot! "I was driving in my car, I was going to the bank… so I get a call from theLotter with the great news, I was in shock! ", recalls M.M. Great news like this, comes when you’re least expecting it! How do I buy lottery tickets online? Most countries will have their own national lotteries and the prize funds, and method of entries will vary widely. Two of the biggest lotteries you can play are based in the US: Powerball and Mega Millions. Due to the sheer size of the US and the number of entrants, prizes easily reach the $1 million mark. But how can you take part in these lotteries if you aren't in the right state or even in the same country? By buying your lottery tickets online! But first, let's have a look at two of the most popular lotteries in the U.S.
Powerball is one of the big draws. You can buy a lottery ticket for the game if you live in any of the following 44 states: Arizona, Colorado, Connecticut, D.C. (District of Columbia), Florida, Delaware, Idaho, Hoosier (Indiana), Iowa, Kansas, Kentucky, Louisiana, Maine, Minnesota, Missouri, Montana, Nebraska, New Hampshire, New Mexico, North Dakota, North Carolina, Oklahoma, Oregon, Pennsylvania, Rhode Island, South Carolina, Tennessee, U.S Virgin Islands, Vermont, Wisconsin and West Virginia. Powerball has a base prize of $40 million. Powerball produced the world’s largest ever jackpot to date, won in January 2016 at $1,600 million, split between three ticket holders. Mega Millions is the other dominant lottery that is played in 44 states across the US and has the largest number of players. You can play this game if you live in California, Georgia, Illinois, Maryland, Massachusetts, Michigan, New Jersey, New York, Ohio, Texas, Virginia and Washington. There are other state lotteries that take place alongside Mega Millions and Powerball, such as Florida Lotto, Michigan Lotto and California Lotto if you are a resident of those states. Hence, if you want to buy a lottery ticket for Powerball, Mega Million or nearly any other big lottery game, then head online. There are many reputable websites that sell lottery tickets – although they may vary in terms and conditions (check before your purchase), however generally speaking, most will buy a ticket for you, then send you the ticket if you win a prize. 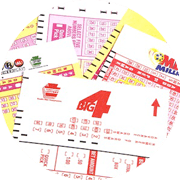 You could purchase multiple different lottery games, all from your home, AND there is no chance of you losing your ticket as with a paper version. This is a good option, as you can weigh up the benefits/cons of different lotteries and opt for the one best suited to you. Time to buy your online ticket! Create your own account to keep track of your future lottery ticket purchases. Choosing your special numbers is probably the most challenging part as guessing the correct numbers may get you a jackpot. Some people use their own and their family members’ birthdays. 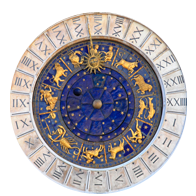 Others generate their lucky numbers using the laws of Numerology. 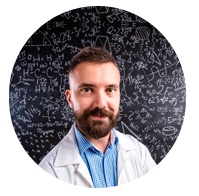 There are of cause those who prefer to rely on science and use lottery numbers wheeling and other mathematical lottery winning systems. If you are ready with your numbers, and have purchased lottery tickets, online lottery agents will go and buy the tickets for you from a lottery shop. If you win, you will get an email confirming your winning, you can always check the tickets in your online account. Alternatively, you can check official lottery web pages to match winning numbers. If you win, tickets may be sent to you to collect, or you can authorize the company to collect the winnings, before transferring them to your bank account. 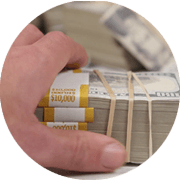 Some websites will automatically cash smaller prize winnings and place them back into your account with them. You may need to verify your identity and fill in any appropriate tax forms for security reasons. It’s important to note that some lotteries prefer for winners to appear in person to collect any large prizes like jackpots. Step 5. Good Luck from all of us! So with the magic of the internet, you can now play nearly any lottery you want to from all around the world, from the comfort of your own home. Remember to read the terms and conditions before buying a lottery ticket online, and then all you have to do, is choose the winning numbers! Good luck, and may the odds be in your favor! 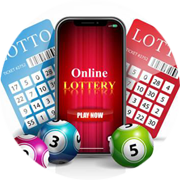 Choose your favourite lottery and click PLAY NOW. Good luck! and remember, you have to be in it to win it.